The office of Sein H. Siao, D.M.D. and Associates are dentists in Wrentham, MA, who specializes in providing an array of dental treatment options, including white fillings, crowns, bridges, veneers, implants and teeth bleaching. Since 1999, Dr. Siao holds a faculty position at Boston University School of Dental Medicine teaching both clinical and pre-clinical education. 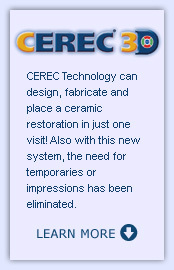 He is co-leader of the Cerec Crown making the course at BUSDM including hands-on and lectures. Also, Dr. Siao proudly lectures yearly at the Yankee Dental Conference. Dr. Siao joined Dr. Fisher’s practice in 2001 and became a partner in 2003. He is happily married to wife, Bopha Chuop, who is also a Dentist. They have two sons, Keenan and Aiden. His hobbies are swimming, golf, dining out and skiing. Dr. Un is an active member of the American Dental Association and the Massachusetts Dental Society. In her spare time, Dr. Un enjoys running, swimming, tennis, reading, spending quiet evenings at home with her family, but is always on the lookout for new adventures. Dr. D was recently featured in Boston Magazine as one of the ‘2018 Top Dentists.’ Her work is informed by a deep understanding of periodontal techniques, research, and clinical practice. Prior to joining our team, Dr. D practiced as a periodontist at the Boston University Dental Health Center and was a Clinical Assistant Professor at Boston University. As a periodontist and an educator, she performed numerous complex procedures and instructed predoctoral and postdoctoral students and residents in several aspects of periodontal diseases and treatment. She is particularly interested in applying innovative techniques in periodontology that result in improved outcomes. Dr. D holds a Master of Science in Dentistry (MSD) (2004), a Certificate of Advanced Graduate Study (CAGS) in Periodontology and Dental Implantology (2010), and a Doctor of Dental Medicine (DMD) from Boston University (2017). She is an active member of the American Academy of Periodontology, the American Dental Association, the Massachusetts Dental Society, and the Academy of General Dentistry. In her free time, she enjoys spending time with her husband Nilay and two daughters Aadya and Shreya. She also enjoys socializing with her multitude of friends, reading, listening to music, dancing, and traveling. As one of the newest dentists at Dr. Siao & Associates, I am honored to serve in the community where I was first a patient. I grew up just a town over in Franklin, MA and went to this very office for my own dental care. I completed my undergraduate degree at College of the Holy Cross in Worcester, MA and received my dental degree from Boston University. I left Massachusetts for only a year and completed a General Practice Residency at Bronx-Lebanon Hospital in the Bronx, NY. Working in New York was an amazing opportunity, but the Red Sox will always be my team. I’m so glad to be back home providing oral health care to the neighborhood. In my free time I like binge-watching television shows, trying new restaurants, and, of course, rooting for our sports teams! GO PATS!